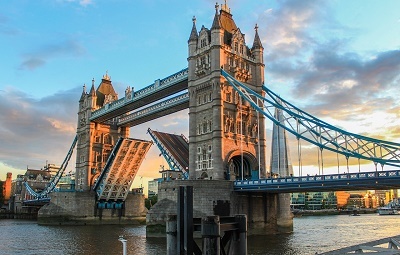 With the event of the controversial "Brexit", which entails Britain's withdrawal from the European Union, the United Kingdom may now seem somewhat lacklustre as a destination for expats. Shrouded in economic uncertainty, the Pound currency has hit a new low in three decades, which can be an upside or downside for expats, depending on whether they are collecting their salary in their home currency. Majestic landscapes, a rich and colourful history, and a multifaceted culture; these are just few things that make the United Kingdom unique. People who are from these countries are still called English, Welsh, Scottish, and Irish, and people from Wales, Scotland and Northern Ireland can take offense if you just call all of them “Englishmen”. Wales, Scotland, and Northern Ireland even have their own devolved administration, capitals, and culture. Wales for example still has a very active language (Welsh), and it is still taught in Welsh schools. If you’re moving to parts of the UK, this is something you should know, as education systems, and other administrative laws are not the same in the 4 countries of the UK. And most of all do not make the mistake of assuming everyone from the UK is English. There are various types of visas issued to foreign students entering the UK for academic purposes. Here are some that will allow you to study and work in the country. a) Short-term study visa – This visa is applicable to foreigners from outside the European Economic Area (EEA) and Switzerland who are to do a short course of study in the UK. This is also issued to those doing a short period of research as part of a program abroad. Holders of the short-term study visa may NOT enrol at a state-run school, work or carry out any business, request for visa extension, bring dependents nor receive public funds. This visa is valid for six months for any short course, or 11 months if the holder is over 18 years old AND taking an English language course. b) Tier 4 (Child) student visa – This visa is issued to foreigners aged 4 to 17, from outside the EEA and Switzerland, planning of studying at an independent school in the UK. Holders of this visa may request to extend their stay. This visa allows holders aged 16 or over to work part-time for up to 10 hours per week, full-time during vacations, or do internship work as part of the course. The student may also work as a student Union sabbatical officer for up to 2 years. Holders aged in the UK until the completion of their courses plus 4 months afterwards. The course length is between 3 to 6 years. c) Tier 4 (General) student visa – This visa is applicable to foreign students aged 16 and over and were accepted in an educational institution, able to communicate in English proficiently, have enough money to support their stay and NOT from the EEA nor Switzerland. Holders may stay in the UK up to 1 week before, if their course lasts 6 months or less, or up to 1 month before, if their course lasts more than 6 months. This visa allows foreign students to work in most jobs and apply to extend their stay. Do you know that some income is exempted from tax? The interest you get from your savings allowance and the income you earn from tax-exempt accounts are tax-free. You don’t also pay tax on the first £5,000 of dividends from company shares, certain state benefits, premium bond or National Lottery wins and rent you get from a lodger in your house that’s below the rent a room limit. Private healthcare in the UK, can be quite expensive, which is why people are fighting so hard to keep their NHS service. Some foreigners are required to pay a healthcare surcharge as part of their immigration application. This will give access to the National Health Service (NHS). If you’re a foreigner from a country outside the EEA, AND applying for a UK visa outside the UK, you’d need to pay the healthcare surcharge. This is also applicable to those applying for a visa to work, study or join their family in the UK for more than 6 months. Moreover, all foreigners making an immigration application for any length of time are mandated to pay the fee. Applicants for visas that last 6 months or less and those applying for permanent residency are exempted from the coverage of this rule. If a holiday falls on a weekend, the government sets the following business day as a “substitute” holiday. g) To enjoy sick pay, maternity pay, paternity pay, adoption pay, and parental pay, subject to conditions. Any violation of employment rights are heard and decided by the employment tribunal (or industrial tribunal in Northern Ireland). If you’re visiting the UK and received your license from a country other than Northern Ireland, the EU, the EEA, Jersey, Guernsey or the Isle of Man, you can drive any small vehicle such a car or motorcycle for 12 months since your arrival. Foreign students studying in the UK may drive for 12 months using their non-EU driving license or international driving permit. However, they’d need to apply for a provisional UK license, pass a driving test and apply for a full license after staying in the UK for at least 6 months. You may apply for a provisional license online. After becoming a resident, foreign students can exchange their non-EU license for a UK license, which is valid for up to 5 years. To qualify for social benefits under the National Insurance (NI), you should be 16 year old or older, a worker earning more than £155 per week, or a self-employed individual and making a profit of £5,965 or more a year. f) Class 4 – Self-employed individuals earning more than £8,060 per year. The UK has submitted 12 other monuments, sites and properties to be included in the UNESCO tentative list. Aside from the UNESCO world heritage listed sites, you can actually feel the history of the country in almost every city and town you visit. Whether you’re walking on the fields of Wales and suddenly spot a castle or a tower on the hill top, or strolling down some of the beautiful cobbled streets of London, you feel the rich culture and history of the United Kingdom and you should just feel happy to be a part of its new layers. London, as expected can be quite expensive. In fact, it’s one of the most expensive cities to live in in the world. However, there are many other cities in the UK that are much cheaper even compared to other cities in Europe. The UK released the “Northern Powerhouse Strategy” putting focus on Northern Cities as the next powerhouse cities of the UK. The core cities of the north are Manchester, Liverpool, Newcastle, Leeds, and Sheffield are now being developed and contributing in the economic growth of the UK. These cities also have some of the most reasonable cost of living in the UK. We always hear about the terrible weather in the UK, and it’s really not an exaggeration. Weather in the UK is one of the worst in Europe, mostly because the British Isles serves like a breakwater for the rest of Europe from the Atlantic Ocean. Northern cities especially have windy and rainy weather especially in places like Manchester and Liverpool. Always carry and umbrella, a raincoat, and get yourself some willies (wellington boots) if you intend to live in the UK.